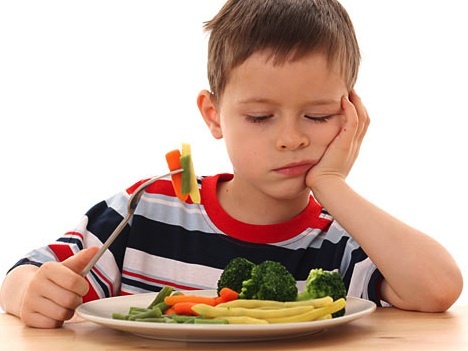 Many kids are known for being picky eaters, and there may be reasons for that. Certain vegetables or greens can taste bitter to a child’s hypersensitive taste buds. Other foods, like cilantro, can taste soapy to certain individuals while it may taste delicious to others. In other cases, however, picky eating may just come down to preferences and experiences. Kids who are not exposed to other foods may become cautious eaters and grow hesitant to trying something new. However, other kids may have a legitimate issue with texture and taste. The first step to understanding your picky eater is to figure out where their pickiness comes from. If it’s a matter of taste and texture, you can try and work around these issues by sticking to foods that do not have these features. For instance, if broccoli is too bitter, sweet peas may be a better tasting alternative. If it all comes down to fear of the unknown, then there are some other things you can consider. Giving kids options, or letting them know what is available, can help them eat what’s in front of them. If they are conditioned to believe that you’ll whip up some macaroni and cheese anytime they don’t like or refuse to eat something, they may begin refusing to eat certain foods outright without even trying. You can let them know ahead of time what to expect when it comes time to eat. Letting them know that if they don’t like what’s on the menu is fine. But you can also emphasize that there are no other options. Allowing kids to know what to expect and giving them a window can help mentally prepare them for the meal to come. This will also help prevent a tantrum, especially if they might otherwise be surprised by a new or unfamiliar food. Another option is to get kids involved in cooking so that they are more likely to eat if they were a part of the process. Spicing things up a bit can help, too. Keep in mind though that taste buds are sensitive in children. However, exposing them to different flavors, spices, and other ingredients early on can help make new foods more familiar to them. If they have something to refer back to, they may be more adventurous and willing to try new dishes. Eating as a family certainly helps, too. When you eat as a unit, it becomes more of a family activity rather than a chore, especially for kids who would much rather play than eat a meal. Plus, plenty of studies show that kids who eat dinner with their families have healthier diets, better vocabularies, and much more. You can still expect kids to get squirmy after a while and not finish everything on their plate, but by making dinner and other meals a sit-down family affair, it can help coerce them into being a part of the activity itself and come to really appreciate family meals together. If all else fails, you can always promise them ice cream. While you shouldn’t allow them to replace a meal with a treat, the idea of a treat afterward, or when a good portion of the food is gone can help. You can also apply this to seconds, as well. However, if your child prefers one part of the main course over another, no seconds will be allowed. Once they’ve eaten a good amount of their vegetables or other healthy side also included in the meal. Does Your Child Dislike Reading?